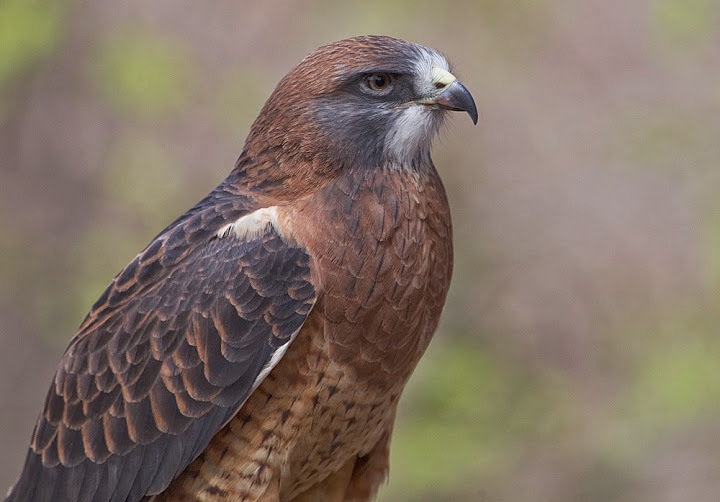 Odin, our Swainson’s hawk, is part of a threatened species in California. More aerodynamic (or “sleeker”) than other hawks means Odin could travel 11,000 miles or more a year! This animal ambassador was found alongside a road in 1999, possibly hit by a car. Her left eye was severely injured and had to be removed during treatment. With only one eye, Odin cannot hunt and survive in the wild.